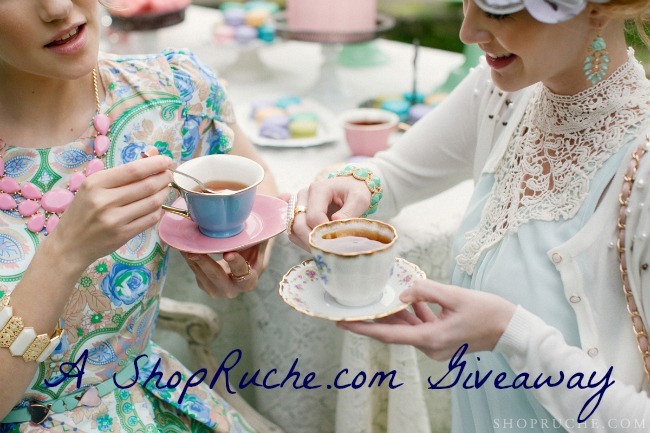 Lot 65: A ShopRuche.com Giveaway! I've admittedly been in a bit of a blogging slump lately, and so to reward you lovely readers for sticking by me, I've decided to host another giveaway featuring one of my hands-down favourite online shops, Ruche. Pop on over to Ruche and check out their many gorgeous offerings. A few of my current favourites? This dress, these shoes, and this pretty necklace. If you're as keen as I am to shop a little at Ruche, get your entry in via the widget below! There are plenty of ways to get your name in to win. Good luck! Congrats to Sabrina of Sincerely, Sabrina on winning! To go to the beach! Beach & watching the sunset. Not necessarily together. i love swimming and laying out on the beach!